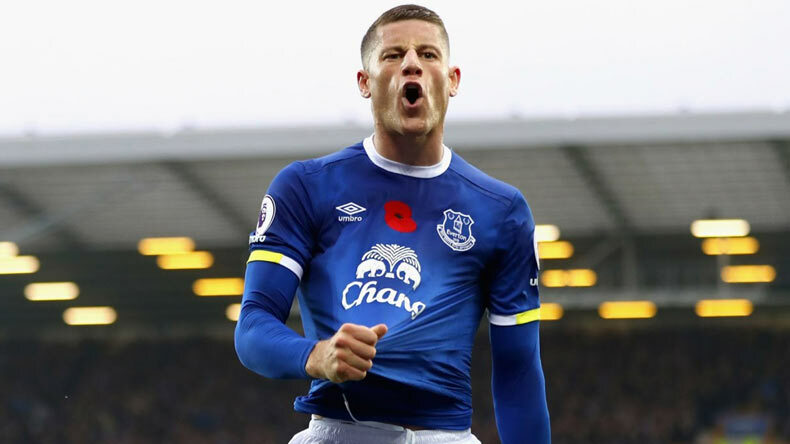 Everton's prolific midfielder and England international Ross Barkley is on his way to join Antonio Conte's Chelsea for a rumoured price tag of around £15 million. Ross Barkley is expected to go for a medical at Chelsea. Barkley joined Toffees back in 2005 when he was 11-year-old and made his first start for Everton in his side's 1–0 defeat to Queens Park Rangers. After turning down a possible move away from Goodison Park in August, Everton midfielder Ross Barkley is set for a move to Stamford Bridge with reports linking him to having a medical at Chelsea are making headlines. With the Everton midfielder expected to go out of contract at season end, Chelsea are utilizing the current situations and have submitted their bid around £15 million. As per reports, Barkley is only a medical away from joining the Premier League holders as Antonio Conte’s is all in to cut a deal with Everton manager Sam Allardyce before the transfer window closes. The 24-year old remained a wanted man for Chelsea and was under Conte’s radar for a couple of seasons. After turning down his contract extension, Barkley’s transfer saga is about to reach conclusion this season. Barkley joined Toffees back in 2005 when he was 11-year-old and made his first start for Everton in his side’s 1–0 defeat to Queens Park Rangers. His news of joining Chelsea for £15 million was first broke by Paul Joyce of the Times, who revealed that Ross Barkley is likely to have a medical today (Friday) at Chelsea with a fee in the region of £15million. “Ross Barkley to have medical today at Chelsea Fee in region of £15m,” Paul Joyce was quoted as saying in his tweet. Rather than seeing Barkley leaving Goodison for free at the end of the season, accepting a deal around 15 million is indeed a better option for Everton. The prolific playmaker for the Toffees is yet to play his first game in the Premier League after recovering from hamstring surgery which was followed by another injury during training.